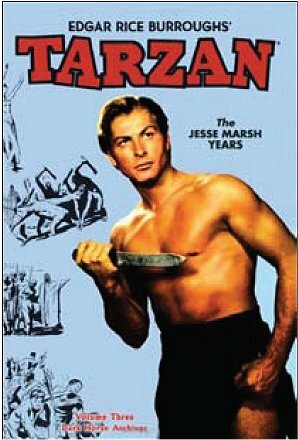 In case you missed previous announcements, the six Gordon Scott Tarzan films have been issued on DVD for the price of $59.95, while the five Lex Barker Tarzans are advertised at $49.95, which is a 50% discount from the regular prices of $19.95 for each film. Our copies arrived just before Thanksgiving. These DVDs are available only through the Warner Bros. web site (www.wbshop.com) and are part of the Warner Archives series. These are bare-bones productions with no bonus features. The picture quality, though not digitally remastered, is of excellent quality, however. WB has many other early movies available in their Archives series that have not been released commercially. 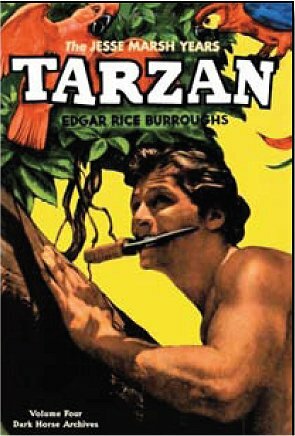 Other recent arrivals include volumes three and four of the Dark Horse Books entitled Edgar Rice Burroughs’ Tarzan: The Jesse Marsh Years. Both books are brilliantly colored reproductions of the Jesse Marsh comics scripted by Gaylord DuBois. Volume 3 includes a foreword by Jaime Hernandez, while the fourth volume has a foreword by Richard Corben. Both volumes are dedicated to Danton Burroughs. 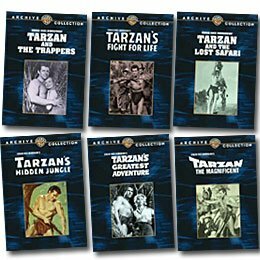 These are hardbound books with dust jacket color illustrations of Lex Barker as Tarzan. 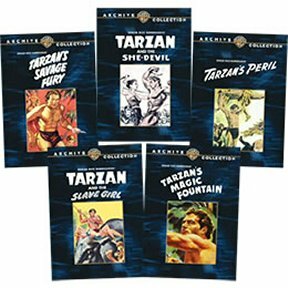 Tarzan comics collectors will find these Dark Horse books a handsome addition to their collections. You can order the books through any bookstore or online vendor. They are $49.95 each. CORRECTION I was horrified to find a typo in the last issue of the Burroughs Bulletin when the "r" had been left out of "work." I remember seeing the same typo in a newspaper when I was about ten years old, and asking my grandmother what it meant. Without hesitation she answered: "A wok is something you fwo at a wabbit.” I think I became an editor at that point in my life, but I still occasionally miss a few typos. I'll have to wok at it. Mary Ellen Zander, McComb Daily, 100 McComb Daily Drive, Mount Clemens, MI 48043.
and made collectors' editions of many book covers with color reproductions of the original dust jacket illustrations. 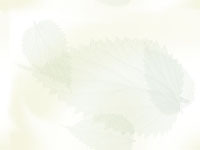 on the internet, and we will bring you further information as it unfolds. is my way of saying ‘thank you’ to his creator." 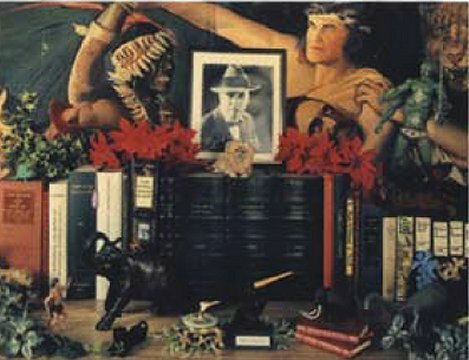 KY, to be added to the Edgar Rice Burroughs Collections at the University of Louisville. to work with each of you. Please contact her with any questions at cheryl.crane@louisville.edu or 502-852-3523.